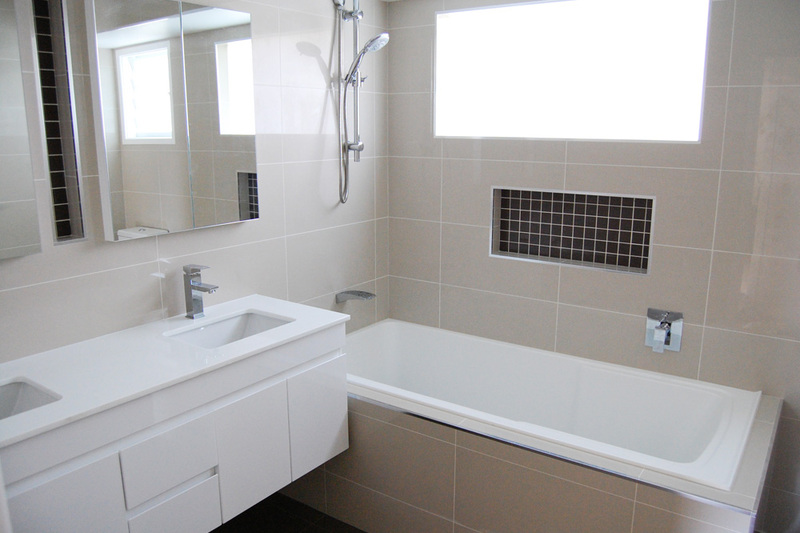 Green Point | Custom Bathrooms | Central Coast bathroom renovations – Modern bathroom ideas. Custom Bathrooms have modernised this bathroom a simple, yet smart design. Taking advantage of space that is usually wasted, practical and stylish storage has been created through the use of niches and custom made shaving cabinets. Using neutral tones and streamlined bathroom furniture and fittings, this bathroom has become a tranquil and well-designed space.